Judging from Maroon’s Saturday comments it sounds like the strong-side linebacker position is Jacob's to lose. I don’t know who the hell Maroon is, but the Jaguars have practiced in pads for three days. Rookie Leon Jacobs is the starter at strongside linebacker now, so he has the advantage in the competition. And I expect him to start the season there because the team likes him a lot. But there’s a long way – and a lot of padded practices and a lot of preseason games – remaining before this story is written. Do people really have a problem with Jaguars cornerback Jalen Ramsey missing PRACTICE because of the birth of his child? What is wrong with people? If Head Coach Doug Marrone doesn't have a problem with it, I sure don't. And even if he did ... I still wouldn't. Practices happen a lot. Your child only gets born once (I think - you should google this). Sure, people were angry. Most weren’t. Some were. Fans sometimes get irrational and fans sometimes get angry. Ramsey’s absence because of the birth of his child was this week’s Topic That Angered Some People. I suspect something will come along soon to take its place. Ramsey is back at practice, but I read linebacker Telvin Smith missed practice Tuesday. It's time to shift our fanning direction. I think what people are missing about the whole Ramsey situation is that he was in constant contact with the coaches and they gave their approval. Much different than just not showing up for camp. I wrote Tuesday here that it just feels right around the Jaguars when Ramsey is around. He’s become the identity of this team. No doubt. Do they only practice inside the practice field due to inclement weather? Would the team ever consider extreme heat inclement weather? Is that a question that would get a laugh out of Godfather Coughlin? Has Coughlin ever laughed? Have you ever told him a joke to test the waters? The only factor that has forced the Jaguars to use their indoor practice facility has been inclement weather, and the only weather that has qualified as inclement in the year the facility has existed has been rain. As for Jaguars Executive Vice President of Football Operations Tom Coughlin, I absolutely have seen him laugh. He is, contrary to popular belief, a man perfectly capable of enjoying a wide range of emotions – laughter certainly among them. I can’t recall eliciting this response from him, though he did once show emotion when my then-colleague Pete Prisco showed him my ponytail. This was sometime during the summer of 1996. Coughlin upon observing the sad wad of a mess scoffed and walked away. I guess he didn’t feel like laughing. I sure didn’t. I really appreciate you remind us that Bortles played with a bad wrist last season and had surgery right after the season ended. Those fans that are not 100 percent on BB5 tend to forget that. Playing pain free has to be a very good thing. Thanks. I can’t in good conscience attach whatever struggles Jaguars quarterback Blake Bortles may or may not have had last season to a wrist issue. He certainly struggled at times early in his career before dealing with it. And Bortles himself never remotely blamed the wrist for any struggles. Still, there’s no way being pain free is bad. And it stands to reason it might be good. It was indeed good to see Brent Martineau of WJAX-TV and 1010XL Tuesday at Jaguars 2018 Training Camp. I was happy he found TIAA Bank Field OK. I did find it a little strange he took his annual three-month vacation at a time it overlapped with the first week of camp, but that thought was overwhelmed by my sheer joy in seeing him. I’ll give him your best. Is it my imagination or are the Jaguars pulling the trigger on putting players who are probably further down depth chart on injured reserve? I like the strategy from jars-on-a-shelf idea but since I don't know the exact injury status of said players thought you surely would have a better perspective. Moodachay a lot this year! The Jaguars are quicker under Coughlin and Head Coach Doug Marrone to place players on injured reserve, and to part ways with injured players, than was the case before the duo took their current roles. But it’s not as much about putting jars on the shelf as getting as many players as possible on the practice field. The saying, “You can’t make the club in the tub” applies here. If you’re a young player who isn’t yet established around here, it’s wise to stay healthy. Slotted at WR 1 & 2 are Lee and Moncrief, two players with a history of being often injured. I am hesitant to put much hope on Greene who also seems to be injured more than healthy. Does the history of injuries play into the decision when it comes to the sixth wide receiver the Jags keep? Jaguars wide receiver Marqise Lee has missed two games in the last two seasons, and 11 in a four-year NFL career. I can understand concern over Donte Moncrief and particularly Greene, the latter of whom indeed has missed huge swaths of seasons with injury – but Lee in the past two seasons has been no more prone to injury than your normal NFL player. Either way, the Jaguars will keep the best wide receiver at No. 6 – if they opt to keep a sixth receiver. Will there be a way to stream the scrimmage game online for out of town fans? No. Remember: If fans can pull the scrimmage Friday at TIAA Bank Field up online and watch it, anyone else can also do this. There’s little to be gained from that. I assume you were going to say “Give the Jaguars a discount because the Jaguars were nice a while back.” This is nice in theory, but naïve in fact. I sure wouldn’t give a team such a discount. I doubt Fowler will, either. I doubt most people would. Hey buddy: Question on special teams since that's such a make or break for guys trying to make the team. Jaydon Mickens showed his worth for sure, but do you think we can expect Dante Hall? It’s tough to expect Mickens – or any returner – to be Dante Hall because Hall was one of the most explosive returners of the last 20 years. Mickens is good, though – and he has a knack for the punt-return role. I think he’ll be tougher to release than many perhaps believe. 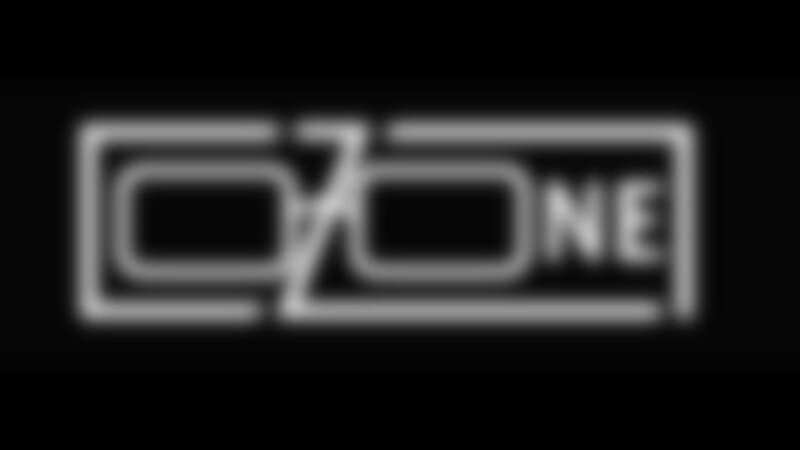 O-Zone: Is Jags QB Blake Bortles a “game manager” or something more? He’s a player capable of getting this team to the AFC Championship Game and beyond. This is not a bad thing to be, and the Jaguars believe he absolutely is that. I like what you've got going. "I wouldn't worry about it." "Count your blessings." If you haven't used it, let's add "Control what you can control." Eventually we'll have a "Deep thoughts with John Oehser" list of phrases. A resource for fan panic. What do you think Allen Lazard's chances are of making the team? He was an extremely productive player in college in a premier conference (Big 12) and I was surprised to see him go undrafted. Was super-excited when we signed him but have not heard much. Wondering if you could add any insight? I like Lazard’s chances of making the team a few days into padded work better than I did following the offseason program. He appears to be getting his feet under him, and has made some nice receptions on crossing routes over the middle. I still think the chances of the undrafted rookie from Iowa State making the 53-man roster are slim because the chances of undrafted free agents making a roster are always slim, particularly a roster that is pretty deep and experienced at the player’s position. Zone, do you get your own music video when you get out of your car and walk into the building each day also? You’re damned right I do.